NO PREP activity. 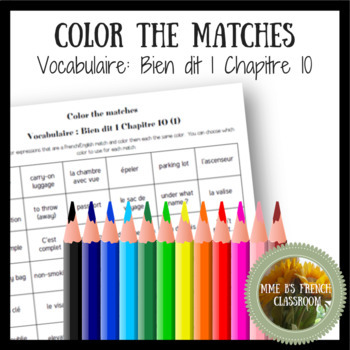 Students match up French words with their English meaning and color each one the same color. 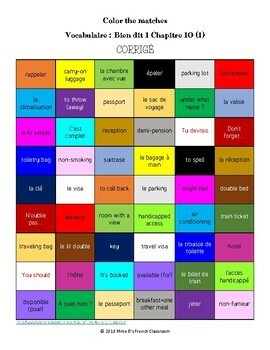 Complete instructions are included along with a key. 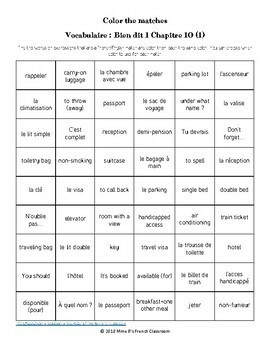 This is a great review activity for middle school age students or something to leave for a sub who doesn't speak French. 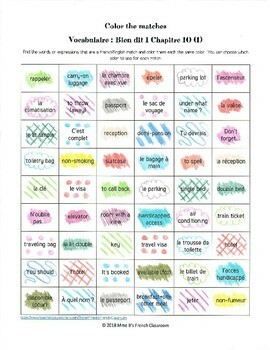 The vocabulary words align with the Vocabulaire 1 list of Bien dit 1 Chapitre 10.